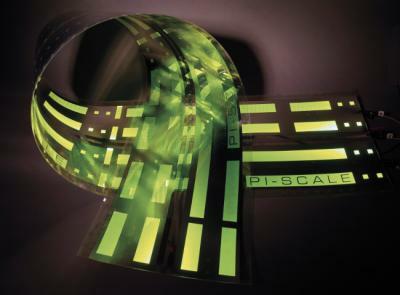 If you missed your chance to take part in the PI-SCALE Hands-on workshop during GLOW Festival in Eindhoven on 15th November and see the first pilot line demonstrators of flexible OLEDs displayed there, you could fly to Fukuoka, Japan from 7th – 9th December for the IDW 2016 – 23rd International Display Workshops and stop by Fraunhofer FEP’s booth. What you will see are long OLED stripes up to 15 m with an efficiency of over 30 lm/W and nearly 100% yield. These first flexible OLEDs were produced with R2R process on ultra-thin glass by Nippon electric Glass Co., Ltd. Click on the link below for more details and stay tuned for more news. The pilot line will soon be ready to supply customers with unique customized flexible OLEDs on thin-glass and plastic foil produced with R2R and S2S processes.